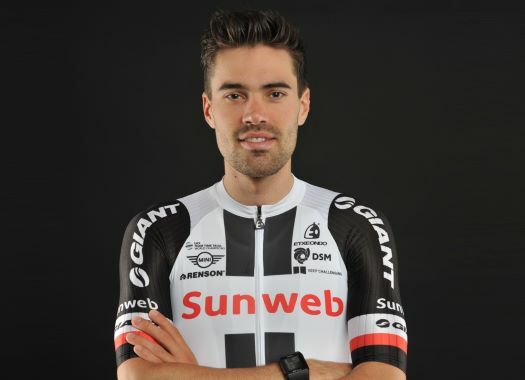 Tom Dumoulin (Sunweb) has finished the third stage of the Giro d'Italia with the peloton and protected by his teammates on a day that turned out to be more demanding than expected. The Dutchman is second in the general classification at one second from race leader Rohan Dennis (BMC). The third stage of the race was to be long and good for the sprinters but the GC riders also felt the exhaustion caused by the weather conditions. "It was the heaviest sprint stage that I’ve raced so far," said the rider after crossing the finish line. "Normally I feel like this after a mountain stage. It was a very hectic and dangerous finale because of the tailwind and high speed." The finale proved to be demanding for the whole peloton due to the strong winds and the number of roundabouts that lined up one after the other in the last kilometres, a recipe for potential disaster that could leave the GC riders out of the competition. "I was positioned well thanks to the team so we survived," he explained. "After a good three days here we now look forward to going to Italy."